You are in Home > Blog > Out of the Blue > What's Your Wine Personality? We're seeing more and more funny games and interesting charts that help to define certain personalities through the food and drinks they choose to consume. 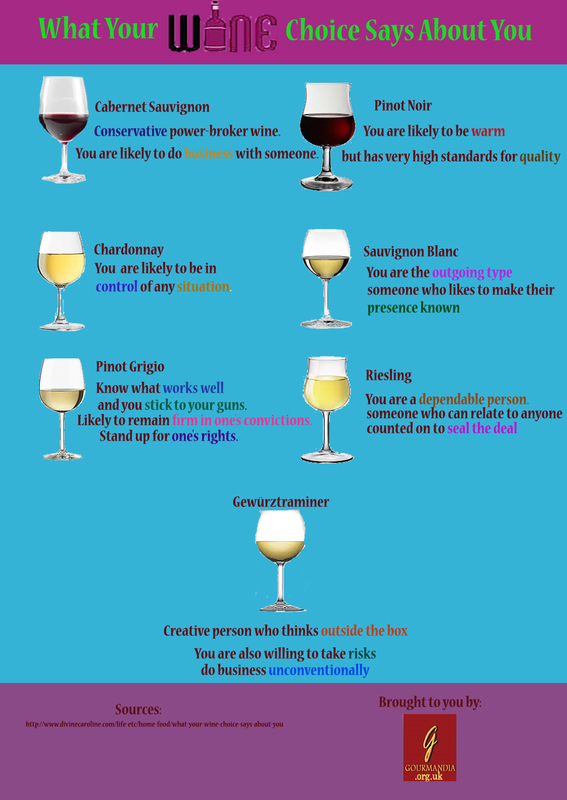 In this latest infographic from the team over at Gourmandia they set out some of the interesting things your wine choice says about your personality. Go for the Pinot Noir and you're usually warm with a hankering for the finer things in life, Pinot Grigio and you're a strong willed person who sticks to their guns. Ok, there's not much science involved in these assumptions but it's a fun game to play.